Before I get into the crux of their official press release – I am a Shaw customer. Our household subscribes to the Extreme-I residential plan, and as I addressed on Sunday , we are not happy subscribers. When we signed up for Extreme-I, we were given a data transfer cap of 125gb. This was not a promotional offering, there was no special price other than the “bundled with other Shaw services” price of $47.00 per month plus $10.00 per month for our third IP address. 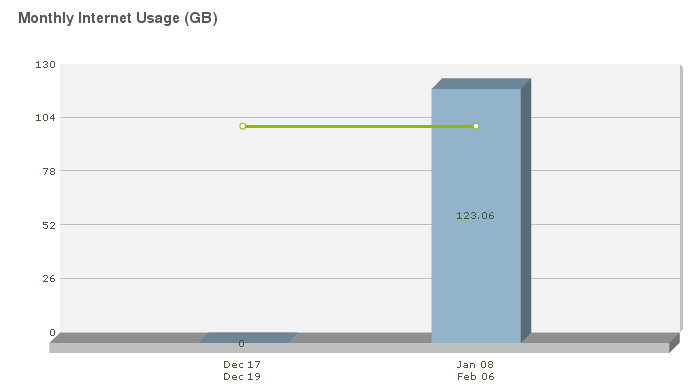 In mid December 2010, 25gb disappeared off of our plan. Without any advance notice or any communication whatsoever from Shaw – including any notification that our Terms and Conditions had changed, we were suddenly sitting at a 100gb data transfer limit – and still paying the same price. So, we have a decrease in service, but no decrease in price. We don’t want a decrease in price – we want our 25gb back. Decreasing the price is not going to win back the trust Shaw destroyed with that move. We have been with Shaw for well over a decade. We have been loyal Shaw customers, we’ve even brought them new subscribers. I was poised to convert the company where I work over to Shaw Business Internet and Phone. Now I’m not so sure I want to do that – even though we’ll save a bundle on long distance calls – because I no longer trust the corporation. I’ve waded through the financial documents they are required by law to post publicly as they are a publicly traded company. I know what the Corporation has been telling its shareholders about how wonderful and speedy and redundant the service pipes are. I’ve seen the revenue and expenditure columns, and I know how to read them. We do not have a lot of choice as to internet carriers where we live. We have Shaw, Telus or the reseller Uniserve, whom I would never sign up with to begin with, simply because of the way Uniserve conducted business way back in the day of it being a small internet start-up whose offices were a few blocks from where I live. I choose to not go back to Telus, because their phone service is far more expensive compared to Shaw Digital Phone, and I do not want to sign a contract, nor is their customer service outstanding. At least Shaw does have that going for it – the CSRs I’ve dealt with over the years have always been polite and willing to assist in any way they could. Shaw has even been an ISP sponsor for LAN events we’ve run in the past – and they provided incredibly good service for the event, assigning us with a dedicated service representative to get the connections up and running smoothly – but now we fast-forward to today, and Shaw honey, we have trust issues. from our own customers before we roll out any kind of program. Wherever we end up needs to work first and foremost for our customers,” said Peter Bissonnette, President of Shaw Communications. Shaw will conduct customer discussion sessions in all its serving regions in addition to creating opportunities to contribute feedback online. Customers will be invited to share their ideas with senior Shaw leaders who will participate in the sessions throughout February and March. Until this thorough consultation with customers has taken place, Shaw will not implement Internet usage billing. To date, no Shaw Internet customer has received a bill for any usage based charges. Well – that press release started circulating the net around five hours ago. We still haven’t received a notice from Shaw giving us the link to find out how to request an invitation  to one of their customer meetings. I found the link on the DSL Reports forum , and I dutifully sent off a request for an invitation, but there was no auto-responder saying “thank you for your request” so I hope it isn’t just floating around in our congested, over-used internet pipes. In my final word on the matter for today, here is the latest screenshot of our data transfer for the month. Our billing cycle ends at midnight, so we’ll be back within our limit. Oh, wait – at 123gb we still are within the limit we signed up for. It’s Shaw sneaky new lower-capped 100gb plan that we’re over. If you want to take a step in the right direction, Mr. Bissonnette, give us back what your company took away.